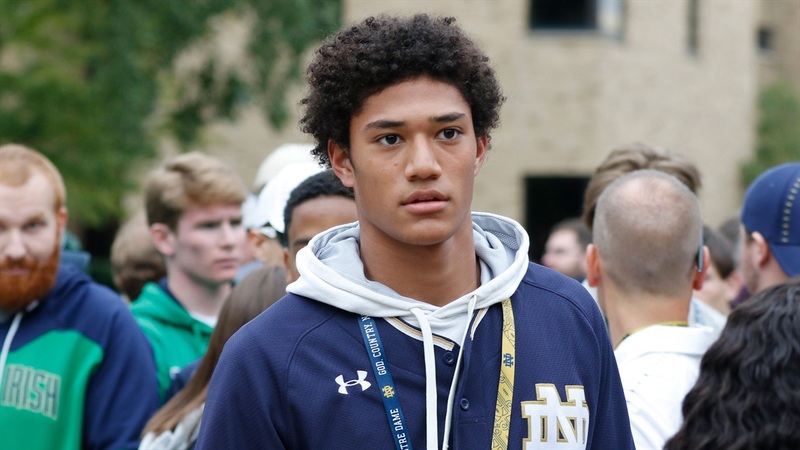 While Notre Dame has had a season that has seen them ascend to great heights, 2019 safety commit Kyle Hamilton‍ has been on a similar path. He started out as an underrated 3-star prospect at the beginning of this calendar year and he’s proven that he is far more than that. I had Hamilton graded out at 91 when he originally committed to the Irish. After seeing him in person at The Opening, he showed enough that I increased my grade on him again to 94. Now after a fantastic senior season, I now have him as the highest graded player in the class and bumped him up to a 96.